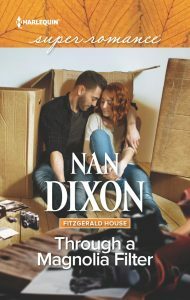 Nan Dixon » I’m the Author on the Couch! I’m the Author on the Couch! I’m Abbie Roads’s guest today on her blog. Stop over and learn more embarrassing facts about me! There just might be a quiz! If you comment – you could win a copy of THROUGH A MAGNOLIA FILTER.